TomTom is one of the biggest brands in navigation. Their latest products are optimized for daily use. With real-time traffic information, speed camera alerts and Lifetime maps, they get you to every destination as quickly as possible. For businesses and fleet owners, TomTom has a great online fleet management platform. WEBFLEET allows you to track and monitor vehicles. We are a .connect Premier Partner and our route optimization is connected to their system. Optimized routes to multiple addresses can be transferred to connected TomTOM PRO devices remotely. For small business and consumer models, loading a multi stop route has been different. The older models were able to import .ITN files when connecting the device to a computer using an USB cable. A handy option for our users that need to visit multiple destinations. RouteXL offers an ITN download for your route with stops. These files were easy to import. 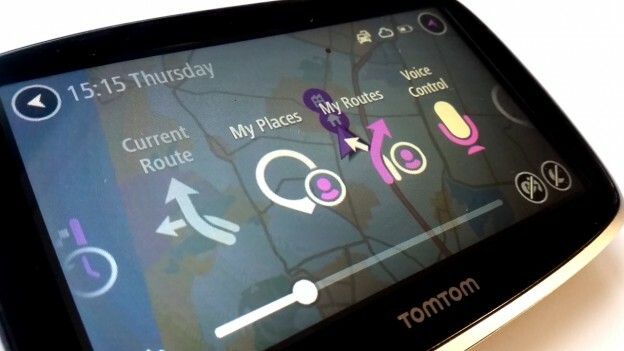 New TomTom models were launched in 2013 with the introduction of the GO series. They were completely redesigned, faster, easier and sleeker. The new devices however missed one important feature. Importing ITN files was no longer possible. There was no way to import a file or send it remotely. Owners were forced to add each destination manually. The latest firmware update adds back a function to import routes. Not only has it been added back, it has even been highly improved. The new import function allows you to load a multiple stop routes over the air. The always connected devices even don’t need to be near your computer. Version 15.500 was released on 26 November 2015. The update applies to: GO 40, GO 50, GO 60, GO 400, GO 500, GO 510, GO 600, GO 610, GO 5000, GO 5100, GO 6000, GO 6100, START 40, START 50, START 60. You can use TomTom’s MyDrive on your computer to import GPS track files to your TomTom device. After logging into MyDrive, select My Routes from the menu on the left and then Import GPX File. The tracks will be sent to your device and saved in the My Routes menu where you can select them as your active route. Your device will navigate along the GPS track.